Sauvignon Blanc is one of the noble French grapes – grown widely and ever reliable. It has served in this sense as an often reasonably priced simple white wine to accompany dinner. In this way it has often been overlooked as a quality grape capable of producing extraordinary wines on its own or as part of a blend. The Sauvignon Blanc grape has been grown for centuries in both Bordeaux and in the Loire Valley. It was first taken to California in the late 19th Century, and has since been grown successfully in Australia and, most recently in New Zealand, where it was introduced as late as the 1970’s. 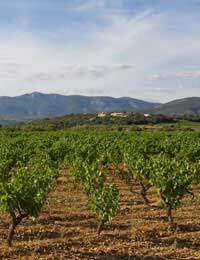 Sauvignon Blanc tends to favour hot climates and for this reason has displayed properties when grown in the New World that were hitherto unrealised when grown in France and Italy (where it is used often as a blending grape). Whilst in France Sauvignon Blanc is employed successfully in the production of the much respected Pouilly Fume, an intense smokey and gravely wine it has arguable come into its own since its development in New Zealand. The intense heat and heavy rains of New Zealand are ideal for bringing out the sharp citrus element of the Sauvignon Blanc grape – something that had been suppressed somewhat in the French production of the same grape. This has resulted in the almost shocking Sauvignon Blanc from Oyster Bay (see related article on New Zealand Wines). This wine is exemplary of Sauvignon Blanc at its best, and currently retails for under £8. The 2007 vintage has had critics in raptures, and if it stays on the shelf long enough is well worth picking up on reduction at Tesco’s – at under £6. Marlborough also produce an impressive New Zealand Sauvignon Blanc, similarly available from many supermarkets. And if you are still with us – and not hot footing it to Tesco’s, the Australian ‘Poacher’s Blend’ - a blended wine incorporating Sauvignon Blanc again demonstrates its citrus flavour. Both of these wines have a distinctive taste of ‘stone’ and this latter demonstrates the power that Sauvignon Blanc can exert even as part of a blend. Whilst making up only 23% of the blend, the grape can be heard clearly amongst the Semillon (a much more subtle grape) and the Riesling. An interesting things has occurred with respect to New World Sauvignon Blanc – the wine itself has been redefined as something very different to its European counterpart. In this case it has been done so well that no critic can bemoan that these New World upstarts are destroying tradition. In this sense wine may be redefined over the coming years! Whereas it may nonce have seemed uncouth to emphasise the ‘zingy’ fruit flavours of a grape, to the detriment of its ‘grape’ flavours, it is now becoming perfectly desirable. French Sauvignon Blanc pairs well with pungent cheeses such as Brie and Camembert, which serve to compliment the smokey flavours. New World Sauvignon Blanc, however, generally pair well with sea food – particularly Salmon, recommended as an accompaniment to New Zealand varieties.